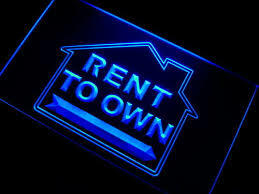 To consumers with poor credit, or with other financial issues, Rent To Own homes (called Lease/Purchase by real estate professionals) may seem like your best option. However, there are some very important things to know before you decide to Rent To Own your future home. 1. Rent To Own Homes still require a legal contract and a set time frame. A Seller should provide the Buyer with both a Lease Agreement, outlining the terms of the lease of the property, as well as a Lease/Purchase agreement that outlines the terms of the rent, the time frame to close the home, Due Diligence period (time in which you can inspect the home), the sales price of the home, and what happens if the buyer or seller terminate the agreement. These documents, once agreed upon and signed are LEGAL documents as an agreement between buyer and seller. *** Make sure to determine ahead of time who will make repairs on the home while its in the rental period. Normally under a lease, the Seller/Landlord is obligated to make certain repairs, and this should be clearly defined so Buyers can enjoy basic amenities such as working heat/air/appliances. If a seller doesn’t provide these documents and instead offers you loose terms of rent with the promise you can buy the home later… bring in the professionals or walk away. As a buyer you’ll likely get burned by this deal. 2. 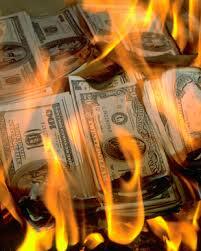 The Buyer has the most money to lose in a Rent To Own agreement. pay monthly rent until the point you can purchase the home outright with cash, or you can qualify for a loan to purchase off the remainder of the home. The danger for the buyer here is that if you miss a rent payment as outlined in your lease agreement it could terminate your lease and lease/purchase agreement which means the buyer loses all the downpayment and the rents paid up to the point of termination. The loss of that financial investment and the possibility of buying a home is devastating for buyers who have their Lease/Purchase fall through. 3. The Seller still holds the mortgage, which means the Seller can LOSE the house and your investment. This ties into Buyers having the most to lose, but is important enough to highlight on its own. During the financial downturn, many sellers hoping to get out of their homes tried Rent To Own purchases. Sometimes the Buyers did everything right, never missed a rent payment and kept the terms of their lease only to find out that the Seller had NOT paid their mortgage and their home was now foreclosed. 4. If the market declines, the Buyer is still obligated to pay the contract price. When Buyers set the terms of their contract, they are agreeing to pay a purchase price on the home that may or may not retain it’s value. Lease/Purchase periods can range anywhere from 1-5 years, so if a buyer decided to Rent To Own in 2006 before the crash, his/her property value would have dropped significantly by 2009 (3 years) and would still leave the buyer obligated to pay the purchase price. 5. Buyers have the right to representation in a Rent To Own purchase! Much of the Lease/Purchase contracts are written to protect the seller who holds the responsibility of the property, title, and land and the Seller may already be working with a real estate agent to sell their home. Buyers are allowed their own representation and may bring in their own real estate agent or take documents to a real estate lawyer to be reviewed before signing. As Rents rise, Renters may become frustrated and seek out Rent To Own homes. Before you start, call a lender to see where your credit stands and what your time frame may be to purchase a home instead. Your credit may not be as bad as you think OR you may qualify for a mortgage program you didn’t know about. You can also call The Best Darn Real Estate Team to discuss your options and get referrals for local lenders that may be able to get you started.